Our interactive African music workshops in djembe drumming, kalimba, mbira and body percussion & dance provide educative entertainment at your event. 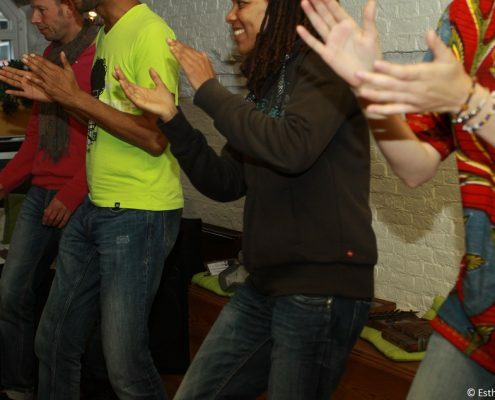 Destress and have fun with a rhythmic and musical workshop, learn African beats and dances. Participants do not require any previous musical experience. Suitable for a conference, function, team building, birthday party, class activity, school event, festival or family reunion. 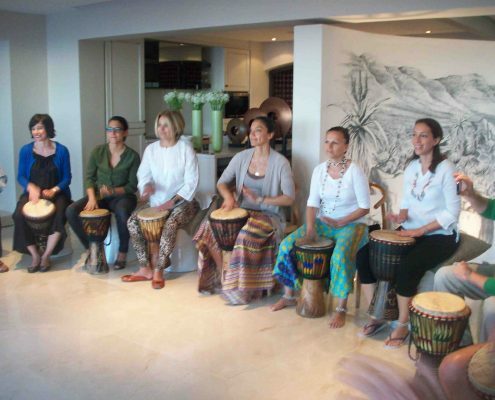 Interactive workshop where you learn West- and South African drumming rhythms and songs on a djembe drum. For teambuilding, events, parties, schools, academies. In the Percussion, Body percussion and African dance workshop we use percussion, body percussion and African dances to engage, interact and learn about rhythm. Movement and fun at the same time! Experience the soothing sound of African lamellophones! Learn how to play the 15-key kalimba. 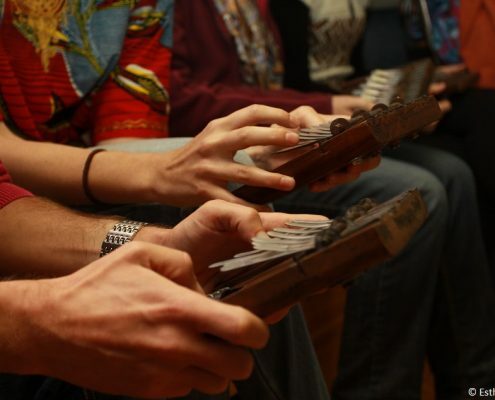 We also offer workshops in the 22-key mbira for the more experienced players. Are you ready for musical fun with your colleagues, friends or family?